Paris: Amid fears of double-dip recession, finance minister Pranab Mukherjee on Friday called for concerted action by G-20 nations to provide impetus to the world economy and deal with the related problems. “The G-20 leaders must ensure that the world economy gets the necessary impetus to have faster growth and not fall into the double-dip recession because that danger is looming large...that fears must be removed by the concerted action of the leaders," Mukherjee told reporters here. G-20 is a club of rich and developing nations that account for 85% of the global output and cover two thirds of the world population. 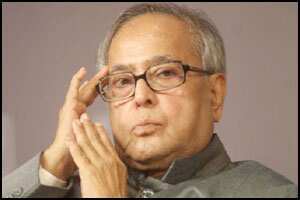 The G-20, Mukherjee said, should “concentrate on the development aspects and provide positive signals" to help the economy come out of the current global problems. He added that the recovery of the global economy was essential for the growth of the emerging economies. Major economies like the US and those in the euro-zone have not been able to come out of the recession of 2008 and the recent crisis of sovereign debt among European nations have added to the woes of the global growth. The emerging market economies, which have been performing much better, have also started showing signs of slowdown, Mukherjee said. He added, “...for instance, China came down from double digit growth to single digit. The first quarter figures showed that only one economy (Turkey) recorded 10% plus growth. It was followed by China at 9%, Mexico at 9% and India at 7.7%." Mukherjee said, “Unless the world economy has a robust growth it (slowdown) would have an adverse impact on the world output and is also going to affect the (growth) of emerging economies." These issues would be discussed at the G-20 ministerial meeting, which will conclude with a communique on Saturday.